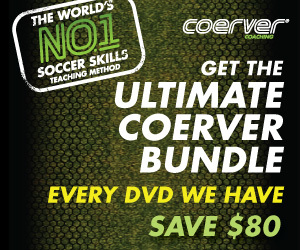 Want to learn how to dribble the soccer ball like the greatest soccer players in the world? Then watch some of the best players in the game, cut, juke, turn, spin, feint and make some defenders fall over in the videos below. But remember, one of the greatest dribblers in the game today, Lionel Messi, doesn't do a lot of fancy moves. Messi just keeps the soccer ball close to him and touches the ball with each step and cuts the ball away from defenders at the last minute. He also uses his change of pace, dribbling slow and then fast when he wants to beat a defender. Fancy step overs and other soccer moves are all fine and fun to watch, as in when they're done by Robinho, Ronaldinho, or Cristiano Ronaldo, but these three players also have a strong dribbling ability as a foundation of their overall soccer game. They like Messi, while maybe not as good as Messi at dribbling the ball, keep the ball close to them at all times when they dribble. So, before you do any fancy soccer moves make sure you can dribble at speed with both feet, always keep the ball close to you, and cut in either direction when you encounter a defender. Once you have acquired those dribbling skills you can start imitating some of soccer's greatest dribblers and try out your tricks and moves. 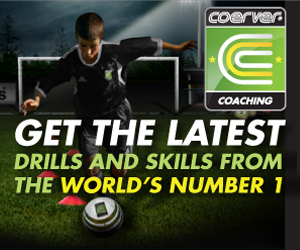 Extra: Check out the Coerver Coaching method to learn more about dribbling and how to master other soccer skills. Not too long ago, Ronaldinho was the best soccer player in the world, and he loved to do this elastico dribbling move. How does Ronaldinho do the elastico? He wraps the inside of his foot around the ball and whips the ball past the defender in one motion. But again, before you work on soccer tricks like the elastico, master the fundamentals of dribbling the ball with both feet.